The Outer Banks is fortunate to be blessed with abundant natural beauty and a rich variety of wildlife. We have the ocean and the sound, marshes, sandy beaches and dunes and maritime forests. We appreciate all the Outer Banks offers but we also rely on these resources. All of us at Sun Realty are pleased and proud to call the Outer Banks home. More than ever, we place great value on the quality and quantity of the Outer Banks' unspoiled water and land. Our sympathies are with those who are affected by BP’s Deepwater Horizon oil spill. Our thoughts are with the families who lost loved ones in the accident. As members of a company and a community that also rely on our pristine and delicate environment for our livelihood and lifestyle, we are so sorry for the continued destruction and degradation caused by the oil that continues to leak into the Gulf. Our hearts go out to those feeling the economic impacts because of oily waters and beaches. Your livelihood and the natural beauty of your home have been taken from you. Photos and videos of dead and dying oil covered birds, sea turtles and dolphins struggling to survive, dead fish coated in an oily sheen, crabs and other benthic residents dead on the ocean floor have affected us all. Stories of families who have lost their way of life because if the spill tug at our hearts and make us that much more grateful for all that we still have. Supporting Gulf Coast Clean Up Efforts. Many of us have already made donations to charities for various oil spill recovery efforts. Sun Realty encourages vacationers, homeowners and local Outer Banks residents to find a charity that fits with your beliefs and do what you can to support the Gulf Coast recovery efforts. Sun Realty is making company donations as well. Learn more about what’s going on, about the spill’s impact on people, the environment and wildlife. Find out what you can do to help, donate to a cause or sign a petition. We’re not making a political stand about anything, just encouraging you to react to the tragedy of the oil spill as you see fit. How You Can Help the Gulf Coast? Here are some charities that are trying to make a difference for people and wildlife in the Gulf Coast. When possible, they have been verified on www.CharityNavigator.com as 3 or more stars. 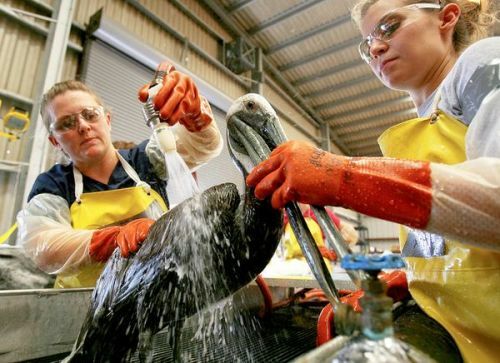 The Gulf of Mexico Sea Grants Program - This site is a great resource for updates on the BP oil spill. It provides comprehensive coverage and links to other sites with information. Thank you for your concern for the people and wildlife of the Gulf Coast. 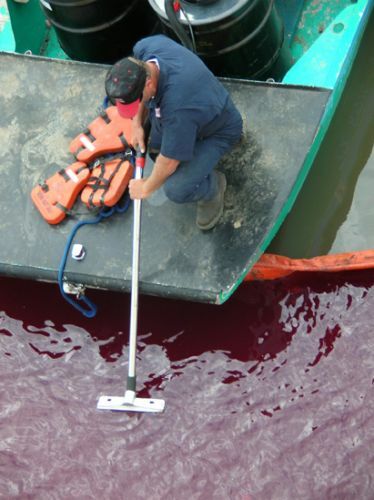 Join Sun Realty in supporting clean up efforts following this environmental disaster. Our hearts go out to all those affected.